Sword Cases | Military Sword Cases | American Sword Cases. Thank you for a great product. 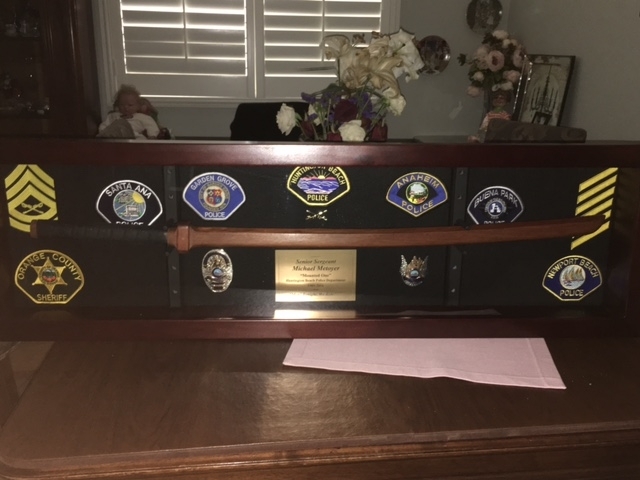 The box was used as a retirement gift for the Sergeant in charge of our Mounted Enforcement Unit. Attached are a few photos of the completed box. The police patches make up all the agencies who belong to our regional Orange County Mounted Enforcement Unit. 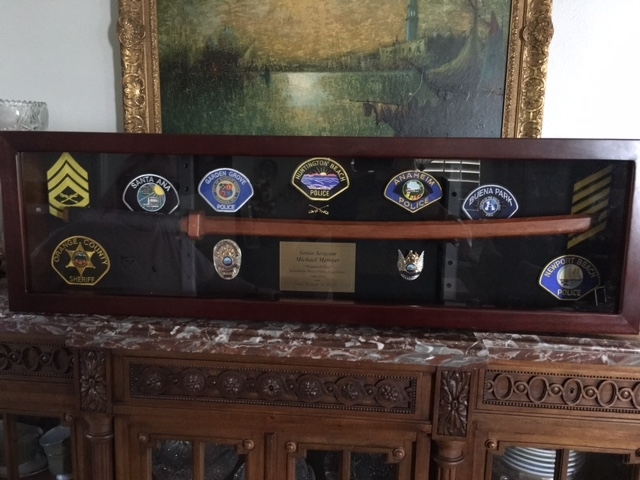 His mounted baton is centered with his horse's badge and his hat piece to the sides of the name plate. Thanks again.